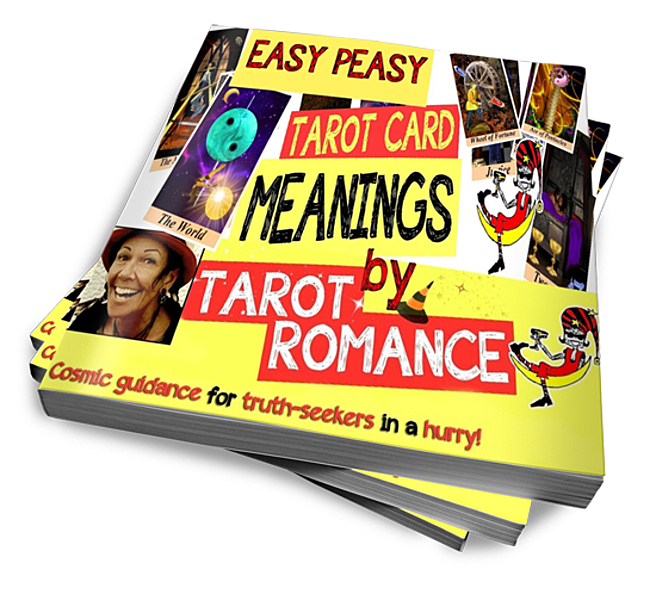 Easy Peasy Tarot Card Meanings is THE book for truth-seekers who don't have all day to figure out tomorrow. Who like to keep things simple. But don't want to compromise on depth. "This is a bloody fantastic book! Clear, concise, well designed and positive. It makes it damn easy for me to just pick up a deck and ask pertinent questions using it." You want an easy way to learn the Tarot cards. But need more substance than the flimsy meanings you've found in the 'white book' that came with your cards, or in other 'simple' Tarot books. Yet you're too impatient to plough through pages of esoteric waffle (unrelated to your problems in the real world) that you've found in more weighty tomes. I know. I've been there. That was me many Moons ago, starting out on my Tarot journey. And now, 30+ years on, as a professional Tarot reader, I've written the book I wish was available then! Margaret Reynolds, Integration Services Manager. One page interpretations of all 78 Tarot cards, more meaty than most 'simple' Tarot books, yet pertinent to life in the world today, without any extraneous fluff that's likely to give you a headache! Totally Gorgeous Tarot card designs. An easy to implement introduction to reading the Tarot cards for yourself. Six Tarot spreads for life and love that are easily applied to your own situation. A guide to creating your own spreads. The Astrological association of each Tarot card. Annnnd it's all gorgeous an' colourful too. "Alison's book lives up to its name by giving a clear insight into not only the meanings of the cards, but also how to use them. It completely demystifies the ambiguities of Tarot." Easy Peasy Tarot Card Meanings is not for you if you’re happy spending years learning the meanings of the Tarot cards. As this book could mean the difference between you spending the next year learning the Tarot cards…. Or impressing your friends with awe-inspiring Tarot readings next week. "This Tarot guide is colourful, concise and goes straight to the point. I can see beginners really enjoying this, as well as more experienced readers who need a reference check".